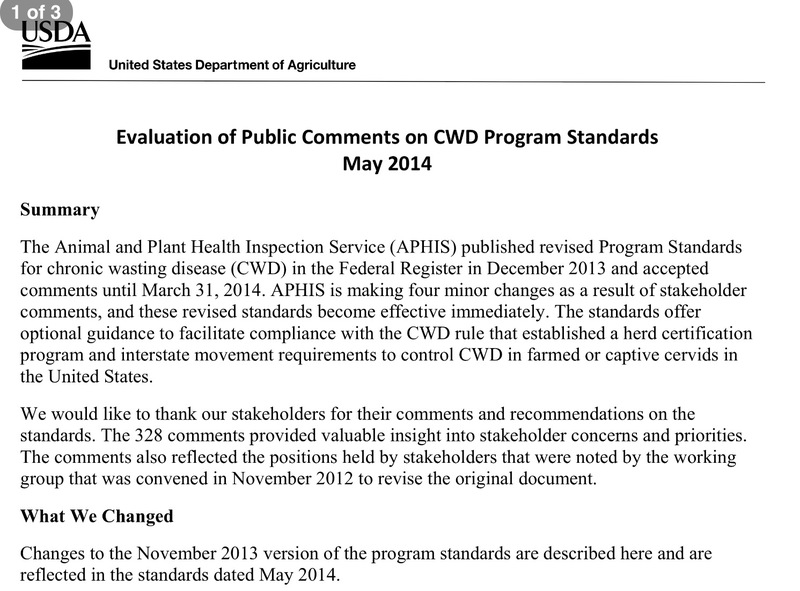 The American Cervid Alliance wishes to remind all stakeholders that the USDA Chronic Wasting Disease Program Standards Document and is not a requirement for states to comply as a Herd Certification State (HCP). Many states, particularly ones that are relatively new to dealing with Chronic Wasting Disease has unfortunately followed the CWD Program Standards document to the letter. As prophesied by the American Cervid Alliance, the Standards protocol has devastated the industry farms in those states, with language, including but not limited to, spider web trace outs and quarantines. Only the USDA Federal Rule (CFR 55 & 81) and respective state regulations is the rule of the land for HCP states.